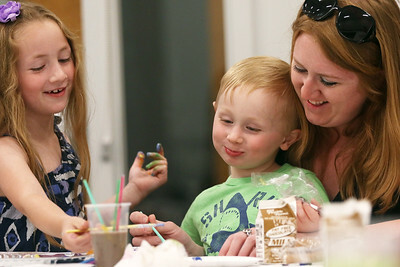 Children and their adults paint rocks as part of a community service project at the McHenry Public Library on Friday, June 8, 2018 in McHenry. 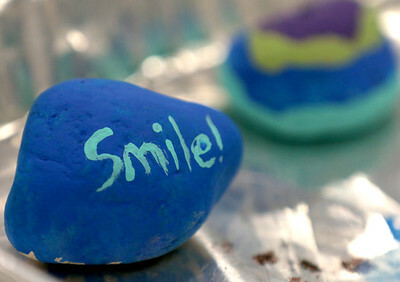 The rocks will be placed around the town of McHenry in hopes that whomever finds one will pick it up and it will brighten their day. 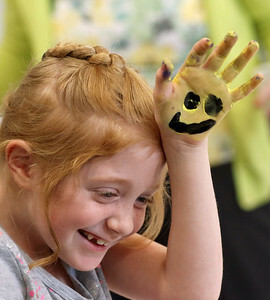 Samantha Rudolph (left) and Caitlin Carlisle, both 10 and from McHenry, share in a laugh as they paint rocks as part of a community service project at the McHenry Public Library on Friday, June 8, 2018 in McHenry. The rocks will be placed around the town of McHenry in hopes that whomever finds one will pick it up and it will brighten their day. 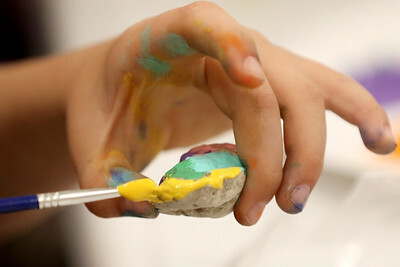 Nathaniel Yohe, 6, paints a rock as part of a community service project at the McHenry Public Library on Friday, June 8, 2018 in McHenry. The rocks will be placed around the town of McHenry in hopes that whomever finds one will pick it up and it will brighten their day. 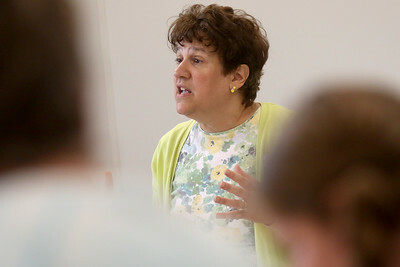 Mariann Cairo, Youth Services Program Coordinator, speaks to children and adults about the community service project at the McHenry Public Library on Friday, June 8, 2018 in McHenry. 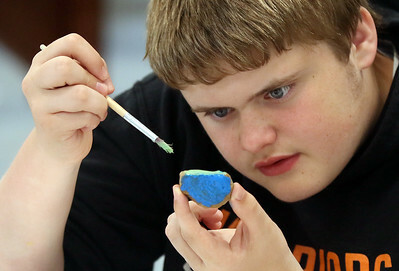 The rocks will be placed around the town of McHenry in hopes that whomever finds one will pick it up and it will brighten their day. 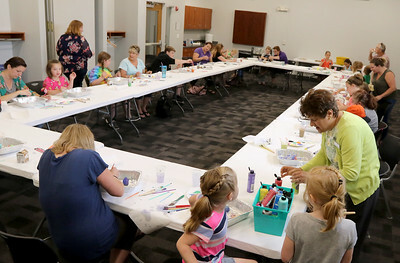 Rocks are decorated with colorful paint and positive designs as part of a community service project at the McHenry Public Library on Friday, June 8, 2018 in McHenry. 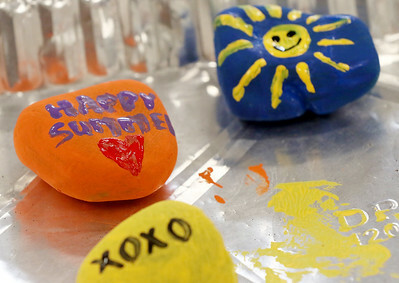 The rocks will be placed around the town of McHenry in hopes that whomever finds one will pick it up and it will brighten their day. 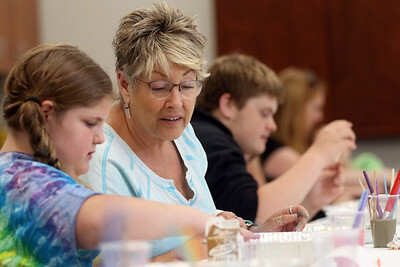 Sandy Summers and granddaughter Maddie Summers, 10, both of McHenry, work on painting rocks with positive designs as part of a community service project at the McHenry Public Library on Friday, June 8, 2018 in McHenry. The rocks will be placed around the town of McHenry in hopes that whomever finds one will pick it up and it will brighten their day. 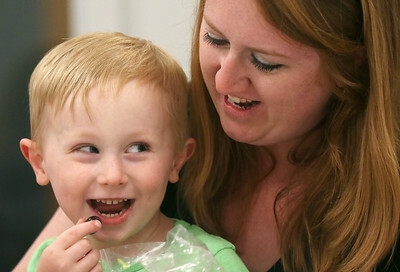 Tami Zerante of McHenry holds her son Anthony, 4, as they paint rocks as part of a community service project at the McHenry Public Library on Friday, June 8, 2018 in McHenry. 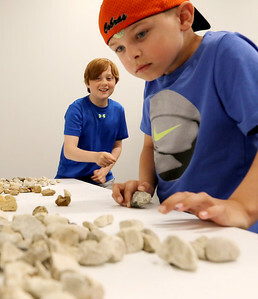 The rocks will be placed around the town of McHenry in hopes that whomever finds one will pick it up and it will brighten their day.